I got an invitation to join Ravelry last year and put if off for quite a while until the spring rolled around and then it got quite addictive. 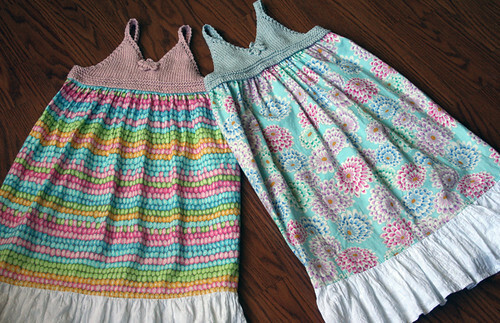 I barely managed to upload any of my own projects before I got sucked into the wonderful world of patterns, yarn and knitty chit chat. So many things to knit and look at, so little time. 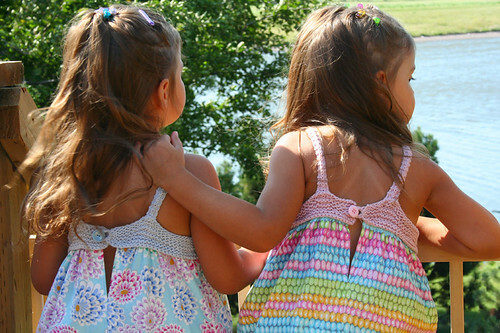 Back in June while perusing the site for cute summer dress patterns for the girls I stumbled upon a few suitable designs but didn't think I'd have enough time to whip off two complete head to toe knitted dresses given our busy summer. Enter the Summerlin by Kathryn Ivy. It's a dual track project with a some sewing required. Good for all skill levels and depending on what you desire you can make dresses or tops by keeping your fabric long or short. Next time around I'd like to give the tops a whirl but first I'll have to convince my dress loving girls about that option. 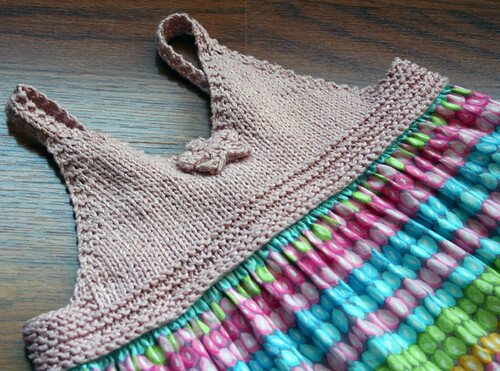 Louisa Harding's Nautical Cotton was the yarn of choice in colors pink and sky. 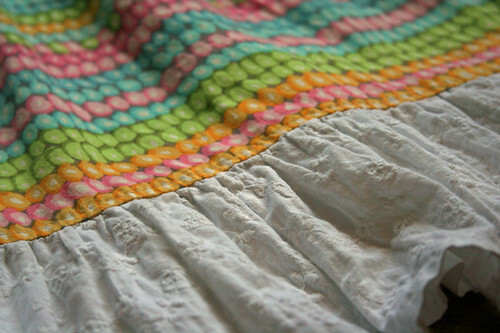 The fabric is from my Kaffe Fassett stash with eyelet fabric for a ruffle. 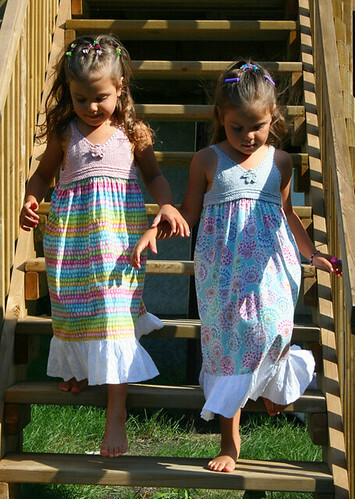 Miss A & J really loved wearing their dresses all summer long and now that the weather is so quickly changing here to cooler days the pictures will remind me of warmer days gone by. These are SO gorgeous Tamara .... I LOVE them!!! !